The world's leading open source platform not only delivers the features a modern enterprise demands, it offers a well-mapped migration path and full support for every step of the transition. So when you're ready to free yourself from expensive proprietary software, Red Hat helps you adapt to the change, enhance IT performance, and increase business agility—all at a greatly reduced cost. Move to the latest version of Red Hat Enterprise Linux. As cost and budget pressures increase, choose a platform your CFO will love. If your performance and capacity demands are increasing, it's time to migrate. The rate of improvement in industry-standard servers hasn't just caught up to that of RISC platforms—it has surpassed it. See for yourself. Keep pace with shifting markets and changing business needs. 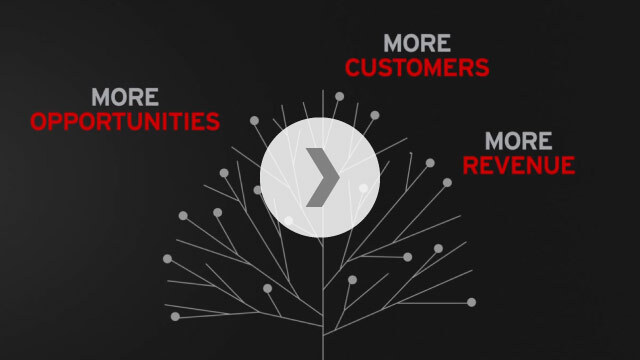 Red Hat® Enterprise Linux® delivers the agility, adaptability, and speed to do what's most important, even when faced with an uncertain future. Deploy a test lab or pilot project. Many customers use a test-lab approach to evaluate a few application environments on Red Hat Enterprise Linux. Qualify the stack. Your business should qualify its software stack for Red Hat Enterprise Linux first. IT typically accumulates a range of third-party software components for hardware and storage enablement, middleware, monitoring, utilities, databases, and more. Port your in-house apps. Red Hat provides a broad range of developer tools and compilers to accelerate the process of porting your code from UNIX to Red Hat Enterprise Linux. Train your IT staff. Staff should be trained early in the migration process. UNIX processes are similar to Linux processes, and you can engage Red Hat Training to make learning easier. Prepare a Red Hat Enterprise Linux standard build. Current provisioning methods using Kickstart can codify organizational requirements in a flexible and repeatable manner. Deploy a pilot. Install the target systems using a repeatable provisioning (closed-loop) approach. Use Red Hat Satellite to ensure up-to-date provisioning. Red Hat Enterprise Linux is a proven alternative to Solaris, with increased flexibility to scale and meet rapidly changing business requirements—at a significantly lower cost and with no vendor lock-in. For more than a decade, Red Hat Enterprise Linux has successfully replaced HP-UX and other UNIX platforms. It runs critical datacenter applications and workloads throughout the enterprise, reducing operational and capital expenses and giving you more flexibility in your choice of hardware vendors. Migrating helps you control IT costs, reduce vendor lock-in, and scale your IT department. Red Hat Enterprise Linux successfully replaces traditional UNIX workloads, making IT more agile as datacenters evolve from physical, to virtual, to cloud deployment models. We're seeing performance that is easily twice as fast as we experienced under AIX. We also reduced our total hardware and operating system licensing costs by 25-30%. The case in favor of Red Hat Enterprise Linux over AIX is an open and shut one. Every migration project needs detailed planning.